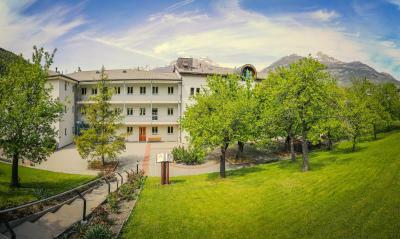 Lock in a great price for Hotel & Bildungshaus St. Jodern – rated 8.4 by recent guests! 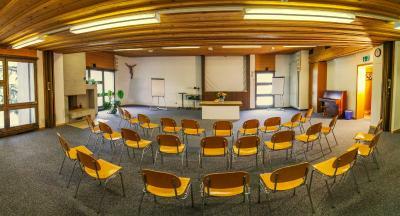 Excellent location, 5 minutes by foot from the town center, 10 min from the train/bus terminal. Superb value for money. Polite and helpful staff. Good breakfast. 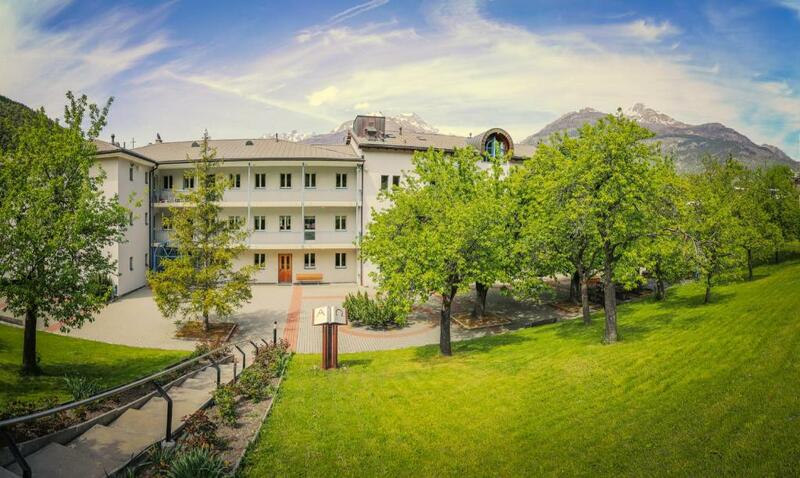 Will definitely stay there again next time I'm in Visp. Very clean. Big rooms - with 4x single beds plus 2x bunk beds (totals 8 guests), we were 4. WiFi worked well. 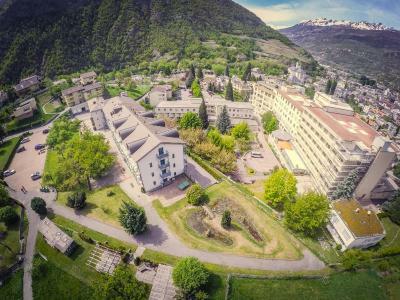 Very quiet hotel and location. No frill. Clean. Perfect for a one night stay. Easy to find. good price , very quite place, the breakfast was good. 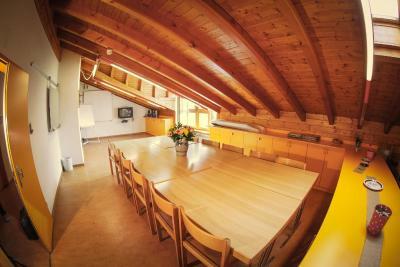 Kind welcome, clean room, very well equipped bathroom, breakfast option. 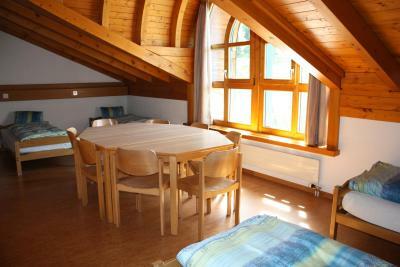 Clean, quiet, big rooms, comfortable beds- good for young people. My room had a balcony with mountain view. 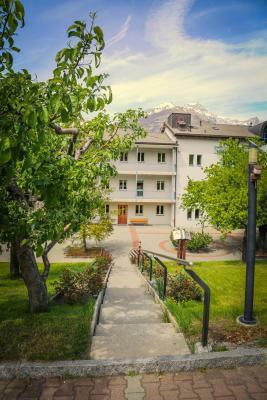 A good hotel in Visp, well worth a stay and see for yourself. Staff are friendly, not that far from the station, coffee and snacks available down stairs and the place overall is quite and very unique. 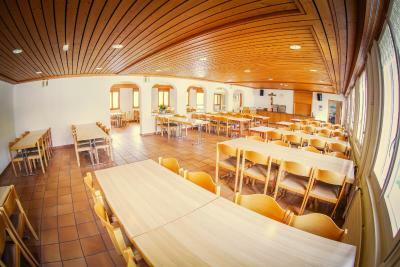 The Bildungshaus St. Jodern is located in the center of the German speaking region of Wallis. 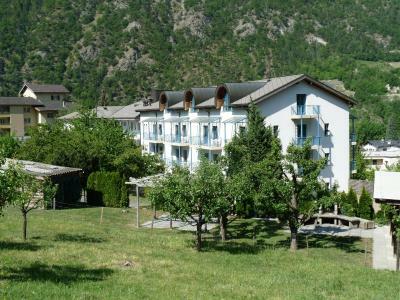 All nearby attractions of the Alps are easily accessible by public and private transport. Free WiFi and free private parking are available. 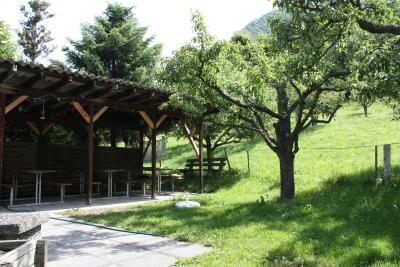 It is located in a quiet location surrounded by a beautiful garden. The single and double rooms have a private bathroom. The family rooms feature a shared bathroom and shared toilets on the same floor. 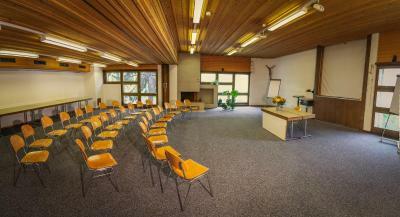 There are various conference and seminar rooms available. A bike garage is featured as well. 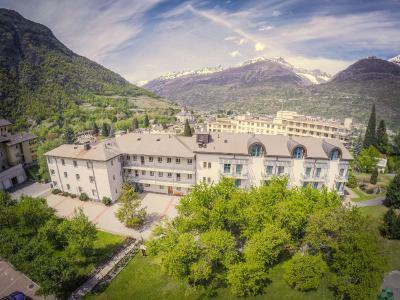 The property is located near the shopping mall, the Lonza AG and the train station, offering connections to the SBB trains, the Matterhorn-Gotthard-Train and the Glacier Express. 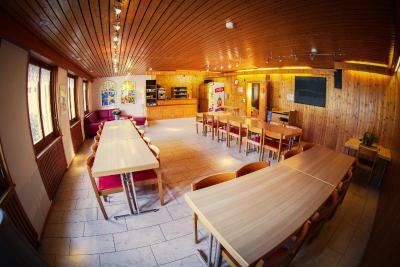 Guests can enjoy free public transport to the Brigerbad thermal baths. 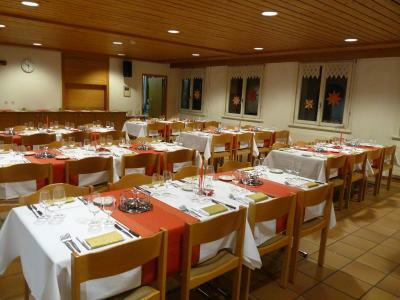 Zermatt, Saas-Fee and the Aletsch Glacier area can also be easily reached. 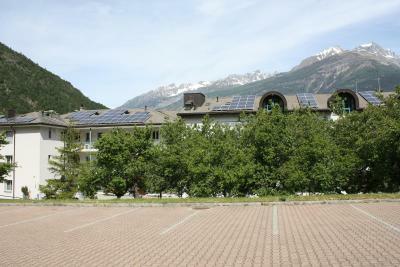 This property is also rated for the best value in Visp! Guests are getting more for their money when compared to other properties in this city. 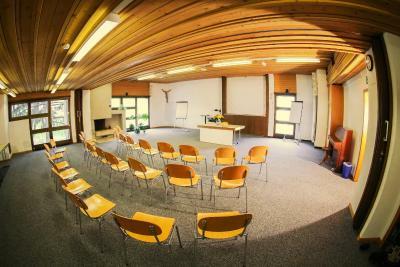 When would you like to stay at Hotel & Bildungshaus St. Jodern? This room features a bathroom, a balcony and free WiFi. This room has 2 bunk beds and 4 single beds. Please note that the shared bathroom facilities are located on the hall. Please note that the room rate is based on 4 guests. Maximum occupancy is 8 guests (see Extra Bed Rates). 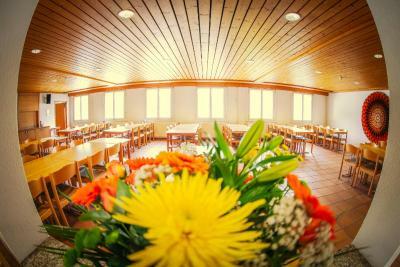 House Rules Hotel & Bildungshaus St. Jodern takes special requests – add in the next step! Hotel &amp; Bildungshaus St. Jodern accepts these cards and reserves the right to temporarily hold an amount prior to arrival. Hotel & Bildungshaus St. Jodern accepts these cards and reserves the right to temporarily hold an amount prior to arrival. It should be made more clear in the hotel/room descriptions in Booking.com that there is nor toilet neither shower in each room. These are shared with other rooms in the same floor and located in the corridor. The quality of the towels was correct, but they felt old. There was no shower gel available. We had to buy it at the supermarket. Staff only spoke german, no English, sonthere was no way of communicating. We had no bed for our daughter and although the hotel had cots the staff at the reception refused to make one available. 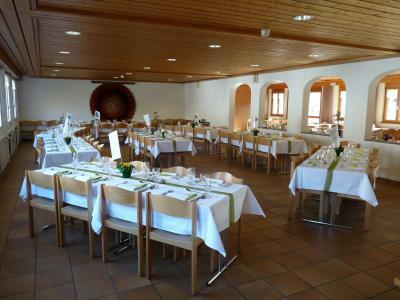 The breakfast was really poor and no help was offered by the staff, it also seems that croissants and other food items were only available to german speaking guests. A litte far from the city centre. The sockets in the room fit only the thiner (smaller) plugs (e.g. cell phone chargers) but not the little bit thicker (bigger) ones (e.g. laptop chargers). The bed was no confortable. 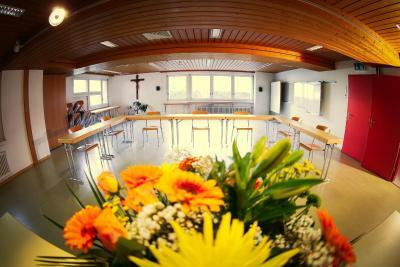 This is not a hotel, more rooms that you can rent at a religious education center. It’s like staying in a hospital. Very dark long hallways that echo, like the setting for a haunted hospital horror movie...even had echoing laughter of children and creepy ice cream truck music (lots of children happened to be staying there at the time). Could hear every noise in the corridor outside the room. All in all, very weird situation. Location - fairly far from station, up hill. Probably get a taxi rather than trying to walk up with a suitcase. Cheap compared to other options in the area. 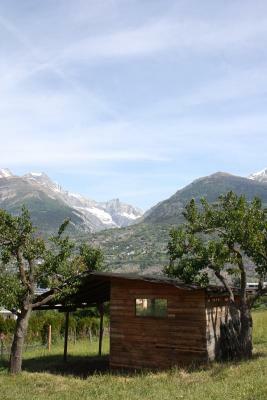 Has basic facilities - toilet, shower, bed. In case of a seminar, there may be some commotion in the house. Some rooms have common (but excellent) shared sanitary facilities - be aware of this when booking. Friendly staff. Very clean. Easy breakfast.